Whether you are a Dubai local or overseas visitor, you will love to explore the beautiful Dubai. There are several means of transport in Dubai that you can use, but leasing a car is the most cost-effective way to take a wonderful trip of the city. It is a simple and great way to rock the roads and beautiful sights of Dubai with reasonable payments and without too many strings attached. Leasing a car in Dubai is a very simple and smooth process and you can get it done within a day. However, driving license is must to lease a car. If you do not have a driving license, then check out how to obtain a Drivers License in Dubai. It is an internet age and every kind of information is just a click away. So, go online and check out the car leasing companies in Dubai. You will find many car-leasing companies online with all sort of information on their official websites. Select the one that is reputable and best suits your requirements and budget. Call at the given number of the car-leasing company of Dubai and confirm the rates and the terms & conditions mentioned on their websites. There are many preliminary work involved in car leasing in Dubai and many of them can be accomplished online, keeping your convenience in mind. However, there is no alternate for a personal visit to the specific company. So book an appointment with the car leasing company so that you can get things done physically. Make sure to bring all the required documentary requirements with you, including your driving license, passport, evidence of your address and proof of the affordability. Ask the responsible staff of the company to show you the available vehicles and select the one that meets your requirements. Go on a test drive to make sure it is up to the mark. Carefully look for dents, scratches, and damages of the car and ask the specific person record them into the car lease contract. Go through the terms and conditions of the lease agreement thoroughly. 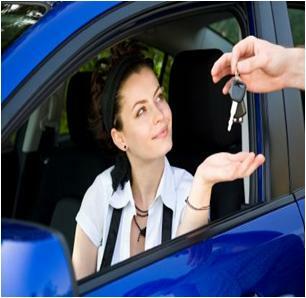 Now fill the car lease application form and sign it along with the company’s appointed member. Moreover, provide the company with the required documents. Make the required payment by debit or credit card. Wait until your car leasing application will be processed by the company. You will be contacted once your application has been approved. Take delivery of the car and have a safe ride in Dubai!